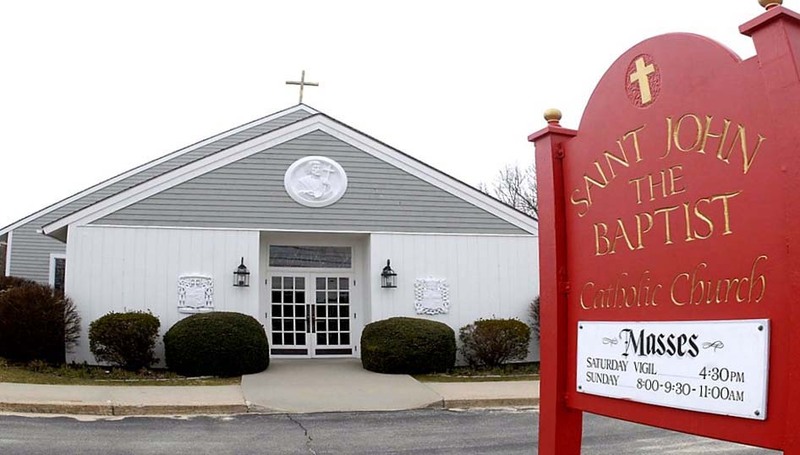 St. John the Baptist Roman Catholic Church is a family of believers in Christ. As sacramental people, filled with God's love, we strive to provide a welcoming community, supporting one another on our journey to salvation. We are committed to each other in a spirit of compassion and love while promoting hope, healing, and evangelization in our midst. Sacrament of Reconciliation: Saturdays at 4:00 P.M. or by calling the rectory for an appointment. Sacrament of Baptism: Monthly by appointment. Sacrament of Marriage: Arrangements to be made at least six months in advance. Holy Communion at Home: Please notify the rectory of any parishioner who is unable to attend mass due to illness, handicap, or age. Eucharistic Ministers are available to visit weekly. New Parishioners: Welcome! Please introduce yourself and register. Registration forms are located on the bulletin board at the rear of the church.